Add details on the hilt in black and red electrical tape. This handy dandy-reference picture is from giantbomb.com. 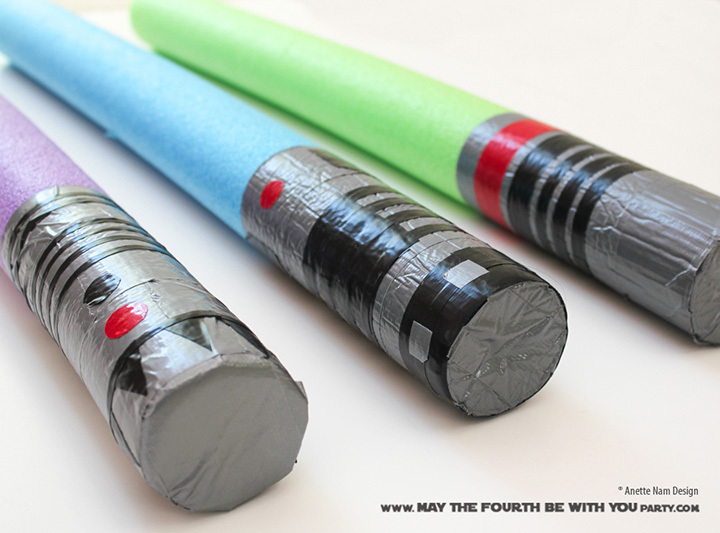 If you prefer kid-friendly DIY lightsabers that light up, check these out!